Getting a clean shave is one of the most rewarding feelings of the entire grooming process. Whether you’re shaving your legs, scalp, or face, a smooth cut and the satisfaction of seeing excess hair disappear just feels great. While many still use non-powered devices, there’s nothing quite like the cut of an electric shaver. These devices are easy to use, will give you a close cut, and are very convenient in their operation. 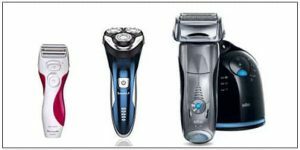 Currently, there are a lot of great models on the market, and we are going to feature ten great models in this guide, but first, let’s take a look at some pre-purchase considerations that you should make before committing to a new electric shaver. Ease of Cleaning: When it’s time to shave, you want the cut to be close. If your shaver is clogged with loose hairs, you’ll find that it’s much harder to get that type of close cut. How a shaver manages the accumulation of these tiny hairs is a hallmark of its quality of design. A good shaver should always be relatively easy to clean. Some of the shavers on the market are waterproof so that you can just run them under a stream of water and some simply have a compartment that can be shaken out. In any situation, be sure to get an idea of how a shaver manages cleaning before you lock in a purchase. Cuts per Minute: Electric shavers should be fast. One way to gauge the speed of a shaver’s performance is to take a look at cuts per minute. This can also be accurately measured in revolutions per minute on shaver systems that are rotary blade-based. In any case, a number of cuts that are performed per minute will really depend on the specifications of the manufacturer. As a general rule, you want a shaver that can execute a lot of quick cuts because this will expedite and simplify your grooming process. 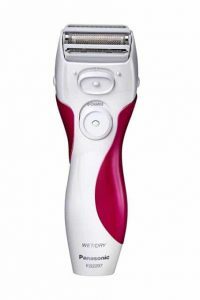 Rotary: The term rotary indicates a circular motion, and when it comes to this type of device, a rotary shaver utilizes a spinning blade to cut hairs. As the blade spins, hairs enter small openings on the head of the shaver. Once inside, the rotating blades cut the hairs down to the desired length. Since this type typically features pivoting heads, the rotary shaver is usually the much easier type of shaver when it comes to overall maneuverability. Foil: Foil electric shavers are more uniform and typically provide a much closer cut than their rotary counterparts. The term “foil” actually refers to a relatively thin layer of metallic mesh that covers the blades. As a result of this protective metal layer, these blades are typically more sensitive skin-friendly than rotary blades, but also slightly less maneuverable. Power Profile: Electric shavers can be powered in two distinct ways: plugged-in or battery charging. If picking a plug-in variety, you’ll need to have an outlet nearby when you shave. For the battery charging type, you’ll have a bit of overall versatility, but ensure that you’ll be able to charge the device readily and that it can keep a charge when you need a shave. Our final product is the Panasonic ES-LV95-S Arc5 Electric Razor. Another great foil unit, this product does a great job at providing a close shave without excess irritation. Like the previous unit, it has an active shaving system that will provide extra power when it is shaving a denser area. In addition to this, the Arc5 shaving system pivots and tilts to the curves of your face; this provides an accurate, close shave. Similarly to the previous product, this unit has a cleaning and charging station that ensures that the device is free of loose hair and shaving gel when you use it next. Finally, one of the most impressive features of this device is its digital display that tells you the exact battery level is. This is prominently displayed near the handle of the device. The micro-foils on this device capture and cut hair excellently. The blades on this device are fast. You’ll get a quick, accurate cut every time. This is the most expensive product on our list. This is a heavy shaver. This produce is another foil-style shaver that provides an excellent close cut. It uses ergonomically designed foil holes to catch more hair. Once inside the holes, the hair is cut exceptionally close by the internal cutters. In addition to this feature, there is a great degree of customization available with this shaver; there are three different modes of cutting that provide excellent functionality. This foil also has a sonic technology that automatically increases the power on denser areas of your mustache and beard. One of the most impressive features of this shaving system is its station. Not only can you charge this shaver in this station, but it also will clean and lubricate the head of your shaver as well. This shaver has a very flexible head. The charging station’s various functions are perfect for providing an excellent shave. The trimmer can have issues; it sometimes won’t stay closed. The product is relatively expensive. Our next foil shaver manages to one-up the previous shavers of its type that we’ve featured in this guide. Whereas those devices have had three blades, this one has four active blades that hit the shaved area an extra time. Each of these blades forms an outwardly curved surface that works great at hitting the unique contours of your face. In addition, you might notice that this is a fairly unique-looking shaver. This is because of its unique head. This head actively pivots so that you can achieve a versatile shave that has all of the maneuverability that’s present in a rotary device. Finally, this device has “nanotech” blades that come with a very sharp 30-degree angle and will give you an exceptionally close shave. The slit foil system provides a comfortable shave. Even with a low battery, this product won’t gradually slow down. It has guaranteed peak performance. The battery is somewhat weak. The shaver has several areas where water can become trapped. Our final Phillips Norelco rotary electric shaver is a very reliable shaver that incorporates some solid design and staunch features. Firstly, the pivoting heads provide a very versatile performance that will easily adapt and closely shave even the most contoured parts of your face. Secondly, for the closest performance, you can use the pop-out trimmer for fine detail work. Each pivoting head uses a dual-precision system that simultaneously cuts long and short stubble. In addition to these features, this device is fully waterproof and is easily cleanable in just a few inches of water. In addition to this, this shaver is also a cordless type with a quick shave function that lets you charge it for three minutes per shaving session. With the two stage system, it’s hard to match this shaver’s precision with another rotary device. This also has some great maneuverability, even for a rotary device. This device has a very long charge. You’ll have to charge it for eight hours to fill the battery. This shaver has a somewhat low rotation per minute. This is countered by the two stage system. With our sixth entry, we are returning to the foil-style electric shaver. Another excellent foil from Braun, this product provides a close shave with noticeable ergonomics for ease of use. This electric shaver’s precision long hair trimmer extension is the perfect device for strategically managing sideburns and chin hair. This device uses a triple blade system to hit the same area three times; all while using foil and sensitive skin technology to help ward off irritation. The two outer cutters are foil-types and capture and cut hair closely. The middle blade is actually a trimmer that cuts any longer hairs that you intend to cut. Having these three cutters grants some of the closest electric shavings on the market today. This shaver is easy to clean because it is waterproof. Even when wet, this device can easily accommodate foams and gels. The device is a bit top-heavy; meaning that while it’s ergonomic, it can be a bit weighty to use. Sometimes the razor head can pop off unintentionally. Our second Phillips Norelco shaver has a very similar design to the first but has one key difference: it’s designed to be gentler on more sensitive skin. As a general rule, foils are slightly better on these skin types than rotary shavers. Fortunately, Phillips Norelco designed this product to be an exception. If you have more sensitive skin, then this is a great model for your face. In addition to its skin features, this model is also cordless. An hour of charging will provide about 50 full minutes of shaving, which is typically multiple shaving sessions. In addition to this, there is quick charge function that’ll let your charge the shaver for three minutes and get a full shaving’s worth of charge. This shaver is fully washable. It has a LED charge indicator, so you’ll know when it needs to be charged. You only need to charge this shave once a week or so. This device has a tendency to trap water inside its surfaces. You cannot replace the battery pack when it dies. This product is the first of a few Phillips Norelco shavers on our list. The company is one of the most well-known rotaries shaver developers so this shouldn’t be much of a surprise. When it comes to power profile, this product is a bit of a hybrid. You can either power it in an outlet through a cord or go completely cordless; provided it has a charge. Insofar as shaving performance, this product has a “flex and float system” that allows it to actively respond to your face’s various contours. In addition to this feature, the heads on this rotary shaver are comfort cut so that the shaving process is pleasant and easy. Just like our last product, this shaver also features a deployable trimmer for quick detailing. The blades are replaceable. If you replace them every 12 months, you’ll always have a clean shave. This is a very washable model; just run it under water. Replacing blades can add a bit of cost. The blades can snag a bit on coarse beard hair. Our third entry is from SweetLF, a lesser known electric shaver brand. Regardless of this, this device provides an excellently close shave and is the first rotary unit in our guide. As we’ve covered, rotary-style electric shavers don’t always cut the closest. One of the most useful features of this rotary electric is the fact that it has a deployable trimmer inside its body. This allows you to do a detailed trim on your beard or on other parts of your body. Each of the three pivoting heads of this shaver moves independently, making this an excellent device for handling the face’s natural shapes. When it comes to cleaning, this device is IPX7 rated as waterproof so that you’ll easily be able to submerge it and wash away accumulated hair. The pop-up trimmer on this electric shaver is incredibly useful. You can charge this shaver through a USB; meaning that you can even use your laptop or computer’s connectors if you find that outlet space is at a premium. This won’t grant you a super-close shave without the trimmer. The blades will definitely lose sharpness with use. Men don’t have the monopoly on the need to get rid of excess hair. Some of the best electric shavers are actually designed for women. 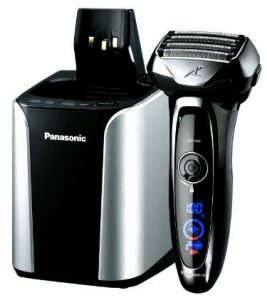 Our second pick, the Panasonic ES2207P Ladies Electric Shaver is one such excellent device. This is a triple foiled shaver that is great on maneuvering the different parts of the body so that areas with bones, like the legs, get an even shave that is very sheer. In addition, this shaver features a pop-up trimmer that allows you to achieve the perfect shaving finish. This shaver is also hypo-allergenic so that those with sensitive skin can use it without worrying about breakouts. Cleaning is also a cinch with this product as it is able to be submerged in water. Comes with an AC charger that plugs directly into the wall. This is very convenient. For an electric shaver, this provides a very close cut. After years of use, this model can start to hold the charge a little less efficiently. For a close shave, you might have to apply a bit of pressure, which can get annoying. The Series 3 3040 Wet and Dry Foil Shaver is the official shaver of the NFL, but this doesn’t mean that it lacks in refinement and great shaving tech. This shaver uses a triple action cutting, a foil-based system that hits the area of your face three times. In addition to this, it also has a micro-comb technology that actively feeds hairs into the cutting chamber without irritating the skin. 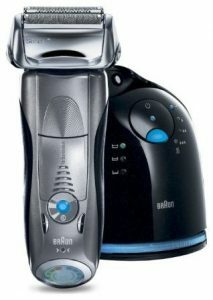 Braun incorporated a great ergonomic design into the shaping of this electric shaver so that it’ll be easy to handle and use. When it comes to cleaning, you can fully submerge this unit under water up to a five-meter depth, so you won’t have to worry about it getting damaged in the environment of your sink. The Rechargeable Ni-MH battery fully charges in an hour and 45 minutes and can be used for one shave with just a five-minute charge. The triple foil system gives you great control over the contours of your face. If you’re looking for a super close, smooth shave, this device doesn’t quite do the job. It’ll be relatively close, though. If this wet and dry shaver are wet, it can cause problems with your shaving cream. With any of the products on our list, you’ll get a great shave that will leave your skin fresh and smooth. We think all of the products featured in this guide will serve just about anybody well, but it helps to perform some due diligence so that you’ll know exactly how each will work for your face. Do you have sensitive skin? Then, a foil type might be best for you. Do you tend to have hard to cut hair? Then, some of the models with adaptive sensors might serve you best. Before you make a decision on which works best, consult our features sections so that you’ll have all the information that you need.